Absolutely beautiful! Loved this post Lorrie--thank you! 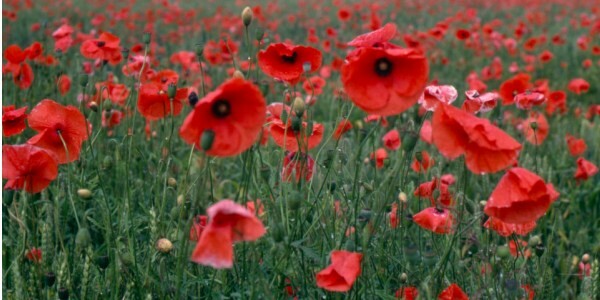 I remember as a schoolgirl selling poppies and memorizing In Flanders Field. Do children still do that in school, I wonder? My father took Veteran's Day seriously and expected us to also. He and 3 of his brothers served in WW II and all came home safely. He never forgot the many who did not and he taught my sisters and I to remember them. Beautiful photo for a very special day of remembrance. Yes we will remember and be grateful. Poppies for remembrance of so many. . . . . and today, in 1942, my parents were married, this is always a very emotional date for me. The sun has has actually decided to make an appearance here after many dismal days - it makes the day even more special. Your photo is lovely Lorrie. Thinking of those long gone and all they gave. How very thoughtful Lorrie. Together we honour those who have fought for our country and for our freedom. So beautiful, Lorrie. The veterans have forever changed our lives for the better. I thought I had you on my blogroll but I think with changing blogs, I misplaced it. I am glad you commented and am following you. A beautiful reminder so simply put.